Although a strikeout suggests that the pitcher dominated the batter, the free-swinging style that generates home runs also leaves batters susceptible to striking out. Some of the greatest home run hitters of all time — such as Reggie Jackson and Sammy Sosa — were notorious for striking out. For example, Carlos Beltran was caught looking at strike 3 to end the 2006 NLCS, and the season, for the New York Mets. Sports commentators have also been known to refer to it as browsing if the batter did not move his bat at all. Some pitchers who specialize in strikeouts have acquired nicknames including the letter "K." Dwight Gooden was known as "Doctor K" (back-referencing basketball star Julius Erving a.k.a. "Dr. J"). Francisco Rodriguez is known as "K-Rod." Roger Clemens has taken the "K" name to an extreme by naming his four sons Koby, Kory, Kacy, and Kody. Tim Lincecum is nicknamed "The Say 'K' Kid", referencing former Giants player Willie Mays who was called "The Say Hey Kid.". 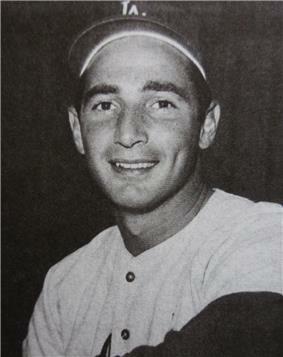 Hall of Fame strikeout artist Sandy Koufax of the Los Angeles Dodgers coincidentally has a last name starting with "K", and in his call of the pitcher's perfect game in 1965, Dodgers announcer Vin Scully commented that Koufax's name "will always remind you of strikeouts." New York Mets pitcher Daisuke Matsuzaka is known as "Dice-K", a term which was used as a pronunciation guide for his name when he first arrived in MLB. Prior to 1960, the event occurred only eight times. The first Major League player to be credited with the feat was Ed "Cannonball" Crane of the New York Giants on October 4, 1888. It has occurred in Major League Baseball 67 times. Chuck Finley accomplished the feat on May 12 and August 15, 1999, with the Anaheim Angels and again on April 16, 2000, with the Cleveland Indians. Pete Richert of the Los Angeles Dodgers is the only pitcher to do it in his MLB debut (April 12, 1962, against the Cincinnati Reds). Steve Delabar struck out 4 men in the 10th inning, and recorded the win in a 3-2 victory over the Chicago White Sox on August 13, 2012, making him the first pitcher in major league history to record four strikeouts in an extra inning. The most recent player to achieve the feat is Anibal Sanchez of the Detroit Tigers in the first inning of Game 1 of the American League Championship Series at Fenway Park against the Boston Red Sox on October 12, 2013. Shane Victorino of the Red Sox made the second of four strikeouts (swinging) but reached first base on a wild pitch. ^ "The Official Site of Major League Baseball: Official info: Baseball Basics: Abbreviations". Mlb.mlb.com. 2013-05-24. Retrieved 2013-06-06. ^ "Truth&Rumors | K-Rod expects to leave Angels". FanNation. 2008-03-22. Retrieved 2013-06-06. ^ "Rare Feats: Four K's in One Inning". mlb.mlb.com. Retrieved 2012-08-17. ^ Kercheval, Nancy. "Burnett Becomes First New York Yankee to Strike Out 4 in a Single Inning". Bloomberg. Retrieved 2011-09-28. ^ "Rare Feats | MLB.com: History". Mlb.mlb.com. Retrieved October 12, 2013. ^ Schlossberg, Dan (2007). Baseball Gold: Mining Nuggets from Our National Pastime. Chicago: Triumph Books. pp. 302–303. ^ "All-Time Career Strikeout Leaders". ^ "Historical Leaders, K/9". Baseball-reference.com. May 25, 2014. Retrieved May 27, 2014. ^ a b "Baseball Recordbook 2007" (PDF). ^ "The Baseball Biography Project". Bioproj.sabr.org. Retrieved 2013-06-06.